Then I rarely used it. Now, as the weather has started to cool down, it's a love-love relationship, baby! I want to wear it everyday! Actually, I do wear it everyday. Evens out my skin tone when I wear it alone, without a foundation. If you find foundations too complicated (liquid...cream...mousse...apply with this brush...that brush...sponges...argh!) but still want something to brighten up & even out your face, MSF Natural is the answer. Doubles up as a subtle highlighter because of the specks of shimmer, which aren't disco ball-type by the way. Because it is baked, there's a lot of product packed in there, so it will not run out in a year, if it's just for personal use. Shades. There are 8 shades in this. I remember the time when mineral makeup products were always on the lighter side & it was very hard to find a shade that suits your skin tone perfectly, but with MSF Natural, I'm sure there's a shade for everybody. The mattifying power is too weak in summers, for me personally. It cannot fight off sweat. Application ~ To set my foundation streak-free, I like to apply the MSF Natural with the Sigma Princess Grace Retractable Kabuki brush or the Sigma F80 Flat Top Kabuki brush. Just something dense and soft. Although I use a large powder brush too sometimes, mostly when the other two are dirty, and when I don't want a heavy coverage. 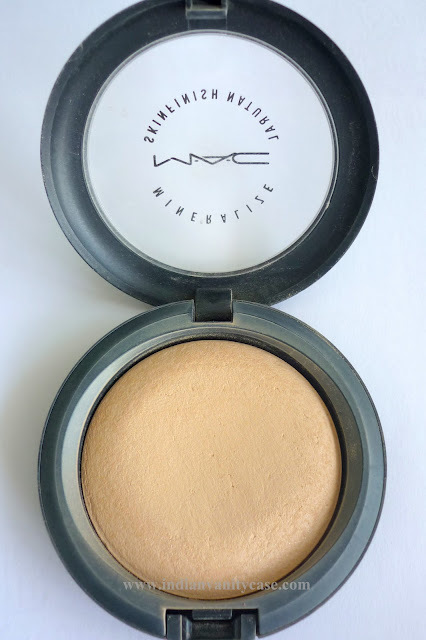 I think this is one mineral powder I'm going to keep buying, unless a better one comes along. I love this too C. My skin is on the dry side and where I live its always winter, so its a must have for me. I just have the wrong shade. 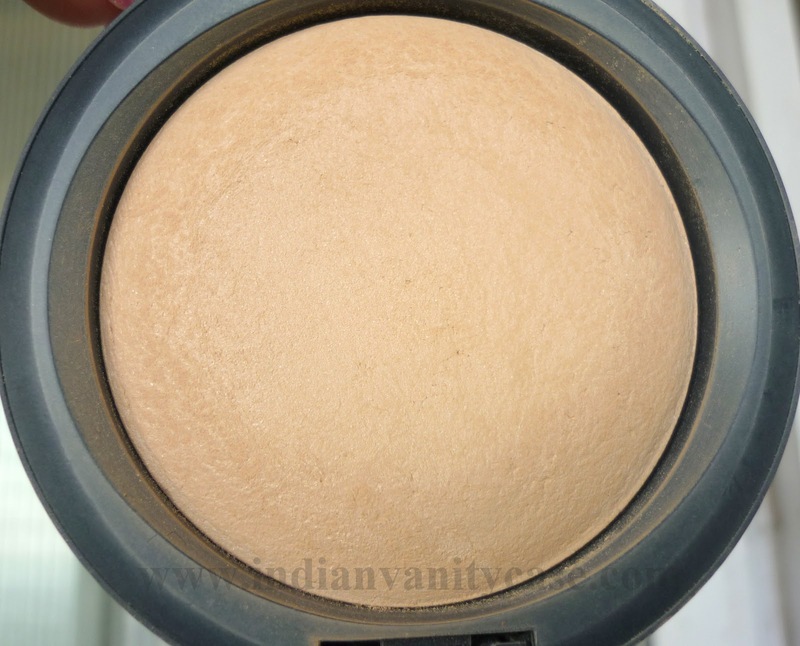 If you get a shade darker, it makes a good bronzer too. I think the only thing I dont like about it is, is the fact that there is no mirror. If you are going to do touch-ups, you need a mirror. I can understand for the oil part though, in India its so psycho hot, so you need something to keep the oil away and keep your fresh. I used Fix + lots in India this summer. it was sooo perfect. You know the bottle doesn't get heated up outside, its still cool so you can throw it in your purse. I need to check this out for sure! I havent had a good experience with studio fix powder hence debating whether to get this or not. I have bought this for 1800 few days back. Also, bought studio fix fluid foundation along with it which was also 1800. This made a big hole in my pocket. I was hoping to get some help regarding mac studio fix fluid foundation. I have bought this foundation in NC 25. MUA tried NC 30 on me first and I liked it as it was very natural on me but she said that it will turn a little dark later on. Then she tried NC 25 which I felt was ok as wasn't that natural. 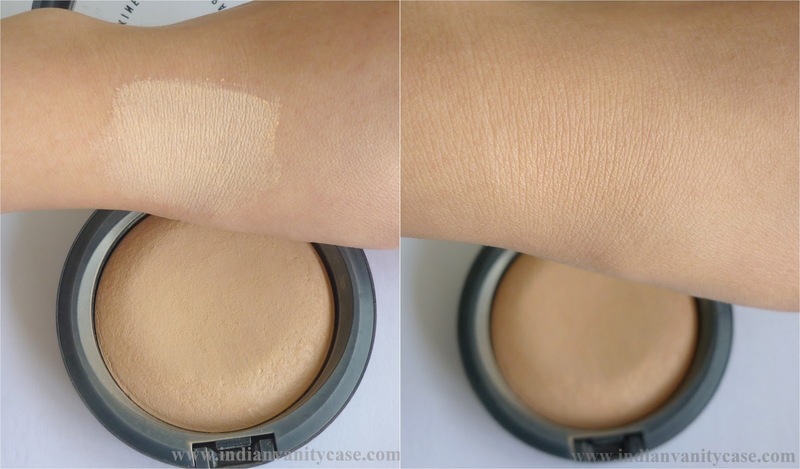 Is it true that foundation gets darker after some time ?